Every January since 2011, Dolores Chili has been teaming up with Philippe the Original in Downtown LA to offer chili lovers a little something free. It’s become more and more popular and the day many have waited for is finally here, the eight annual Free Chili Day. The first 500 customers at Philippe’s on Tuesday, Jan. 23 beginning at 10:30 a.m. will receive a voucher for a free cup of Dolores chili, with the purchase of a sandwich. Guests will receive a voucher at one of the two main entrances upon arriving to the restaurant. They can present them to a Philippe’s carver at the order counter to get a free cup of chili, with or without beans, and topped with shredded cheddar cheese, or onions. Dolores Chili and Philippe’s have a relationship built upon time. The 1970’s is where it all began and Dolores Chili is still the exclusive chili sold at Philippe’s. Both establishments have plenty in common being family-owned and Los Angeles-based. Dolores and Philippe’s are run by third and fourth generation family members, respectively, and both are built with the intent of hard work and core values that make them so great. Philippe’s, being one of the oldest and best known restaurants in Southern California, is renowned by its chili, which pairs well with any of their signature French Dips, including: beef, pork, ham, lamb, turkey and pastrami. 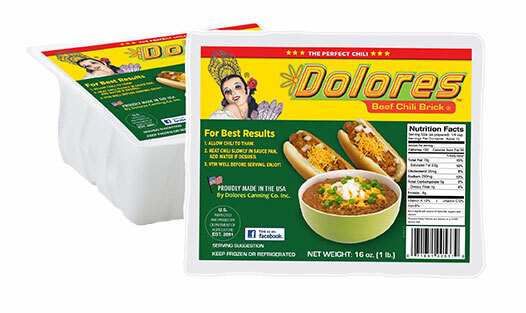 Dolores Chili is available at Philippe’s daily by the cup or bowl, with or without beans, shredded cheddar or onions, and is served with a side of crackers. Some French Dip lovers even like to dip or top their sandwich with the chili. Dolores Chili is made at Dolores Canning Co. located in East Los Angeles. The Dolores Chili Brick is sold in 16 oz. packages in grocery stores throughout the West Coast, including: Ralph’s, Food 4 Less, Stater Brothers, Vons, Albertson’s and Walmart. Another option is a five-pound tray for larger entertainment feasts like the big game at Smart & Final. They also offer chicken and vegetarian versions. For a list of stores by location, visit Dolores’ store locator. The two have had a partnership that won’t quit and each look to continue their affair for many years to come. 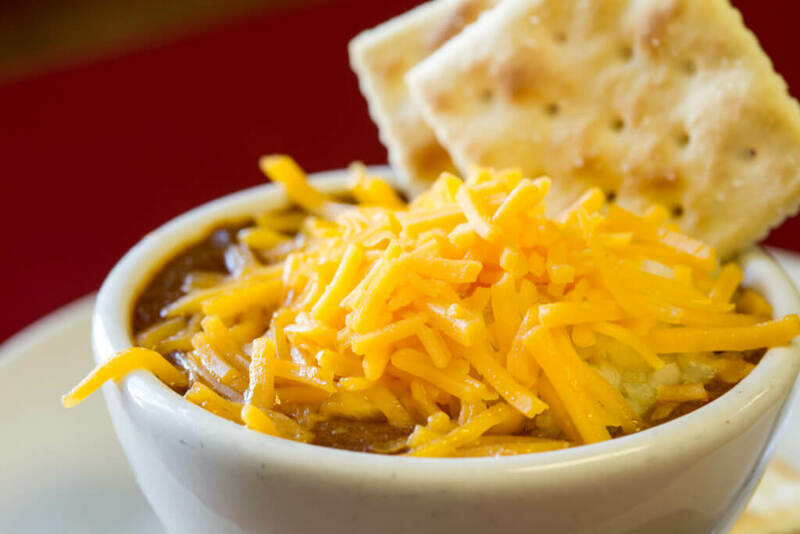 Free Chili Day is sure to be a longtime tradition. On top of the free chili voucher, guests will also receive a raffle ticket that will give them the chance to win free chili for a year. Those that do not take home the grand prize will have the opportunity to win Philippe’s gift cards, Dolores Chili apparel, and other prizes. Philippe’s is located at 1001 N. Alameda St., Los Angeles, visit the Philippe’s website for more info.